Please ignore this gentle reminder if you have already replied, but do take a look at our latest news and offers. IMPORTANT NEWS IS THAT YOU WILL BE ABLE TO ORDER ON LINE FROM NEXT WEEK! We hope that you will be able to join us for our bumper Spring Tasting, at a time to suit you between our opening hours of 2 - 7pm on either Saturday 2 or Sunday 3 May 2015. Please see more details on our website. We will have around 18 wines at our informal Tasting, as usual. This Tasting will feature several exciting new wines and several new vintages. It will be a great opportunity to taste something different, from Spain, England, New Zealand and South Africa. We are often asked if subscribers can bring friend/s to our Tastings to which the answer is yes. To assist our planning it is helpful if you could please let us know by 29 April, which day you wish to join us. If you are new to our Tastings please email for details of the venue. For those wishing to travel by train, we are about 15 minutes walk from Southbourne station. See below for latest news and some great offers…. New look website is here! It is all coming together very well. While we have been touring Spain, visiting vineyards, our lovely website designer has been completing the final pieces of the jigsaw! We hope to launch our on-line shop next week. We have some terrific new arrivals from Dominio de Punctum whose family-run organic estate is situated between Valencia and Madrid. New this year is their terrific pale Rose 2014 at £7.65 and their excellent Tempranillo/Petit Verdot Roble 2012 at £7.99. Both these wines are not only organic but also biodynamic. 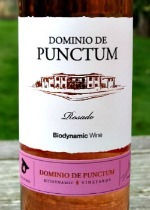 Dominio de Punctum do not use any synthetic pesticides, herbicides or chemicals in the winery. Great value for wines of this quality. 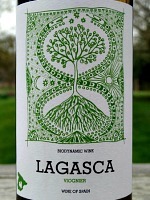 Also from Dominio de Punctum on taste will be Lagasca Viognier 2014 at £7.65. A deliciously fresh Viognier, with bags of intense peach and nectarine fruit coupled with a nice citrus finish. We will also have their great young juicy Tempranillo which is now called Pablo Claro Tempranillo 2014 at £6.85. Many of our customers enjoy Bodegas Gordonzello's Peregrino wines. 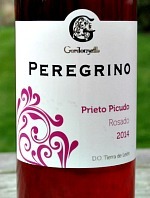 Last year our best sellers were their excellent, dry and full-flavoured Peregrino Rosado at £7.35 and their delicious dry, but not bone dry white, Peregrino Albarín at £7.65. Test the links to find out more. The 2014 vintages are bursting with freshness and both wines will be on taste. But if you can't make the Tasting, we recommend you might like to pop some into your shopping cart! They are even better value this year! Oz Clarke (in his 2015 guide) has identified Simon Waghorn's Astrolabe Wines as a high flying winery in NZ and a producer to watch. Simon is recognised in NZ and around the globe as one of New Zealand's most talented winemakers. He also has very high standards in his vineyards. He has developed his wines towards a more subtle, refined style whilst retaining their intensity. 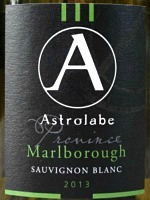 Astrolabe Sauvignon Blanc is a definite rival to "Cloudy Bay" and top Sancerre so a great treat at our competitive price of £13.95. St George's Day Sparkling offer extended to 3 May 2015! English Sparkling Wine Day this year happily coincided with St George's Day! 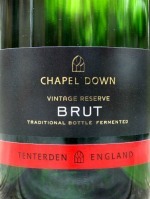 In celebration, we are offering Chapel Down Brut Vintage Reserve at £18.50 a bottle for a limited period. A finely structured, elegant fizz made from the classic Champagne grapes of Chardonnay, Pinot Noir and Pinot Meunier with a dash of Pinot Blanc from grapes grown in Sussex and Kent. Made in the traditional Champagne method. From Walker Bay, in South Africa Barton Chenin Blanc 2013 is really drinking well, it is a full-flavoured, dry Chenin with fresh, smooth citrus finish. It is a good summer wine, a bargain at £7.50 it is now on limited offer at £6.75. IWSC Silver Medal 2014. We have a few bottles left of our very popular organic Dominio de Punctum Finca Fabian Tempranillo 2013, and as it needs drinking up now we are reducing it as a bin-end at £5.25. These wines can be included with other wines and 5% discount (for orders of 6 or more bottles) still applies. Some good news for Spanish Wine lovers; the strength of the £ against the Euro, means that we have been able to absorb some increases of costs, and reduce prices in some of our Spanish wines. Our bumper Spring Tasting on 2 & 3 May will feature many exciting new finds and our expanded organic range. Don't miss it! We look forward to seeing you then. In the meantime you can follow us on Twitter @bushvines for snippets of news!